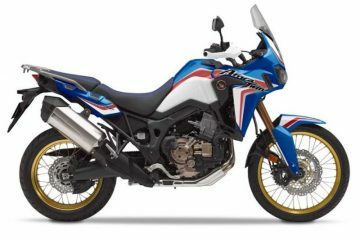 Back in January of 2016, we listed all of the new adventure bikes that would be hitting dealerships over the course of 2016. 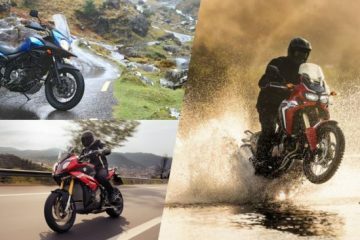 While some of the machines in that list aren’t quite out-and-out adventure bikes, they all fall into our beloved adventure motorcycling industry – even if they won’t ever touch the rough stuff. Here we are almost six months later and we’ve been lucky enough to get our hands on most of 2016’s new metal, but just how did we get on with the the new models, and which ones are worth your hard-earned cash? 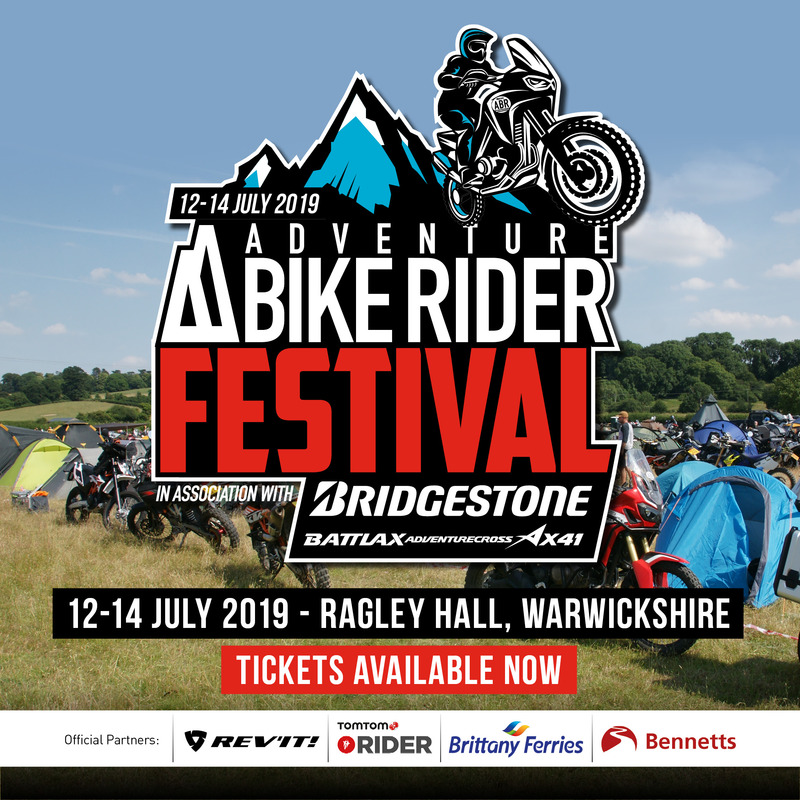 That’s the question we are going to try and answer now, as we give you the ABR verdict on the new adventure bikes we’ve managed to get our hands on so far this year. 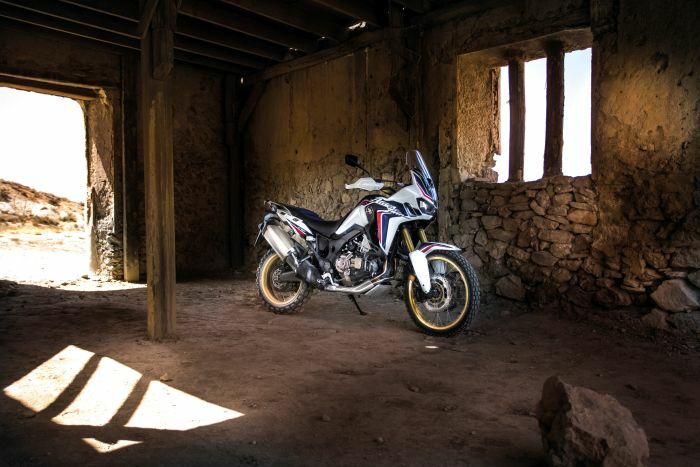 Arguably the most anticipated of the lot, the Africa Twin went down a treat with all at the ABR offices. In his review, ABR Editor Alun Davies said: “This is the most impressive big bore ‘true’ adventure bike I’ve ridden to date. Man, it even brought a smile to a drugged up old guy with a faltering back. 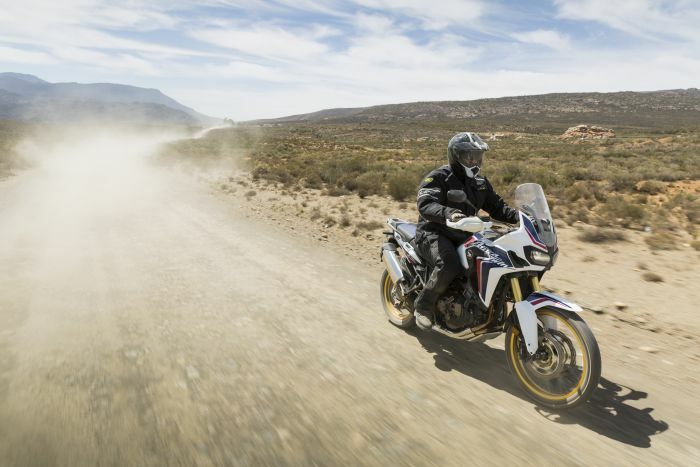 In testing, the Africa Twin scored highly on pretty much all potential uses (including commuting, off-road and touring), with pillion carrying capabilities being the only weak point. The Enduro is another motorcycle that seemed to get pulses racing in the office, and there’s no denying it’s an impressive looking bike. 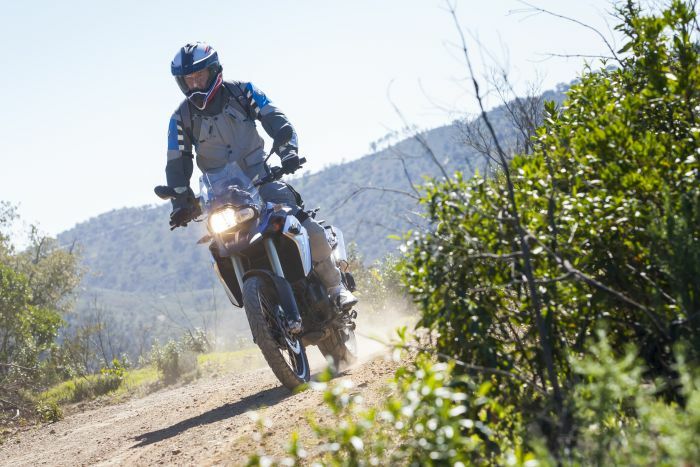 We were at the world launch of the Enduro in Sardinia and it certainly impressed us. 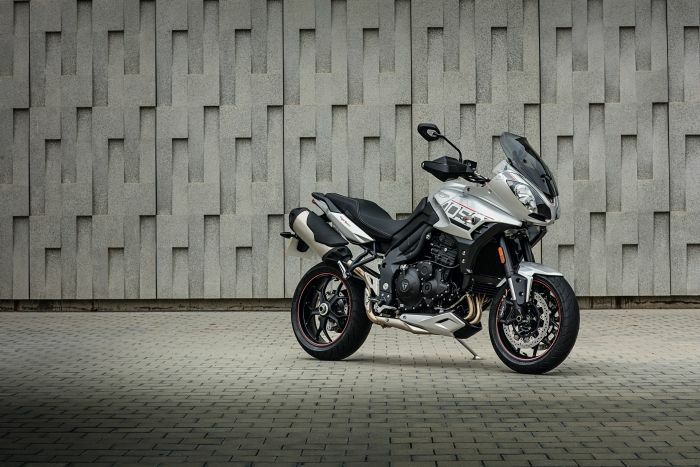 It’s competing with the likes of the BMW GS Adventure, KTM Super Adventure and Triumph Explorer XCa and it actually holds its own. 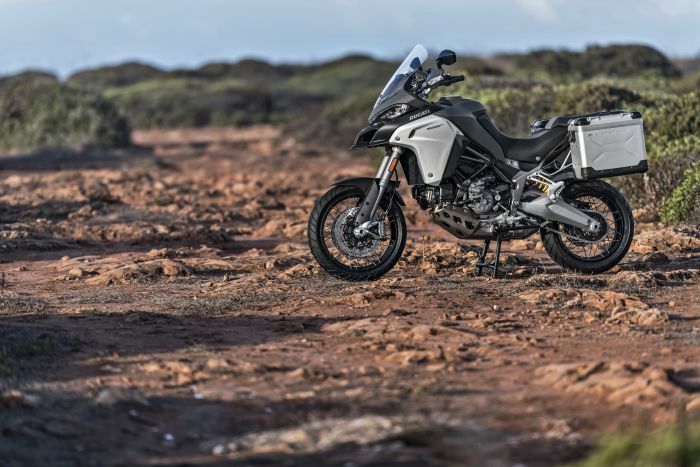 It’s extremely capable off-road (though will require a monumental effort to lift it back up after a fall), works well as a tourer and will handle luggage and a pillion exceptionally well. Whether you’d be inclined to take a £16,690 bike off-road is another question altogether. 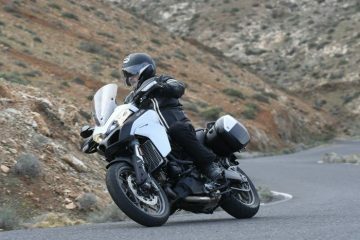 After spending some time on the Tiger Explorer XCa in Portugal, it was easy to see that this was a very impressive bike. It is up to any touring tasks you may have for it and should handle luggage and a pillion happily (especially with the heated rear seat). In his review, Alun wrote: “The new Explorer may not look that different from the old one but it is better in just about every conceivable way, especially when it comes to advancements in technology. 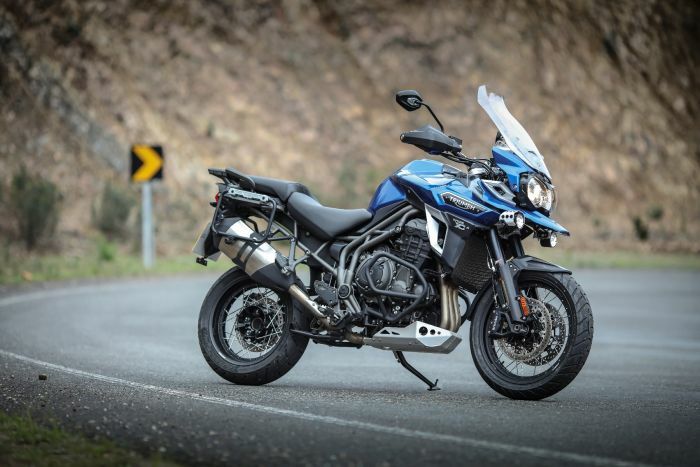 While some may disagree with the inclusion of the Tiger Sport on a list of adventure bikes, the machine is a more than capable tourer, which for many is all that they are looking for. We sent Stuart Barker over to Nice to see what the updated motorcycle was all about. Of course, it belongs nowhere near the rough stuff, but on the road it comes into its own. 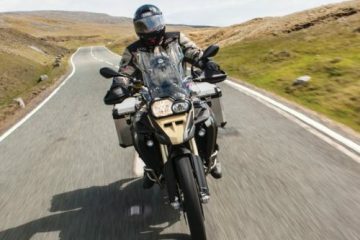 It offers brilliant pillion carrying capabilities and is pretty much the perfect weekend tourer, while longer journeys will also be taken on eagerly. 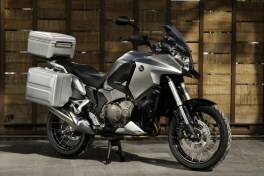 Honestly, the F800GS hasn’t changed much this year. It has seen some minor cosmetic changes and a wider range of seat height options have been made available. Not exactly headline-grabbing stuff, but useful all the same. 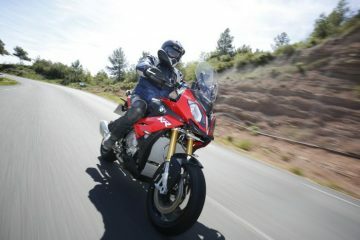 The 800 is a popular bike and it’s easy to see why. It’s comfortable, offers great visibility, decent wind protection, smooth gear changes and has just enough on the inside to make quick overtakes a stress-free affair. 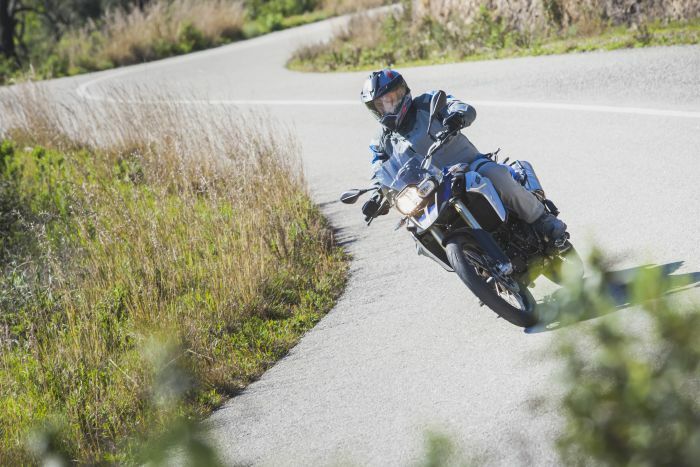 As with the F800GS, the F700GS has been privy to a series of cosmetic changes and extra seat height options with its update in 2016. It shares the same 798cc in-line twin engine as the 800 but only puts out 75bhp, 10 less than its older sibling. One thing which is immediately apparent about the 700 is that it has a much smaller and lower profile than the 800. “It feels gentler to ride with nothing much to excite or scare, and as such would make a great first bike for a new rider,” Alun wrote in issue 34. It’s also worth noting that the 700 has a 19in cast front wheel making it more of a road-biased machine than the 800 which has a 21in spoked front wheel. 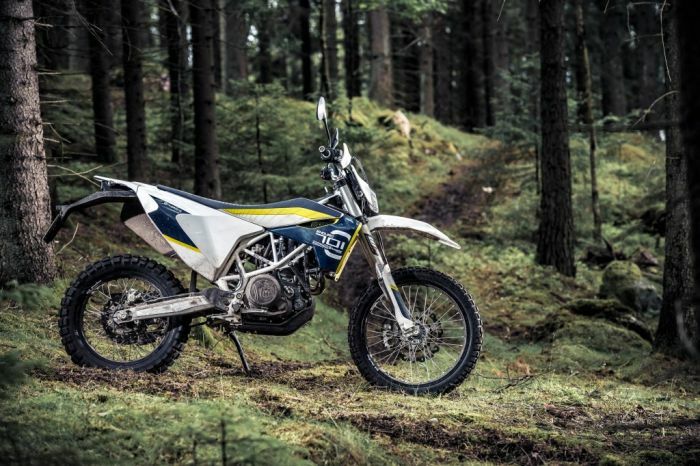 The crowd of ABR staffers waiting excitedly outside as the 701 Enduro arrived at the office tells you everything you need to know about the new Husky – it’s a looker, and it’s one that certainly gets the heart racing. While it’s not exactly ideal for long-distance road travel (don’t even mention the word pillion), there is certainly some fun to be had on minor roads between trails. But it’s away from the black top where this bike really comes into its own. If you want to be kept up to date with future bike reviews you can buy a subscription or single issues from our online shop by clicking here.